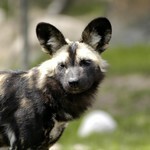 This canine species has a richly patterned coat, with yellow, white, brown, black and red markings. Adults are roughly the same size as large domestic dogs, weighing up to 80 pounds and reaching 3.5 feet in length. Large, round ears help the species communicate with pack mates and shed the heat of its environment. 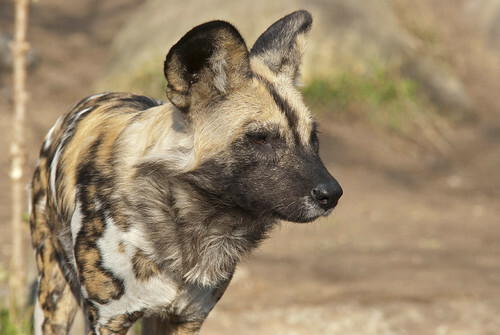 Once found widely throughout Africa's savannas, African painted dogs are now limited to small ranges within sub-Saharan Africa. 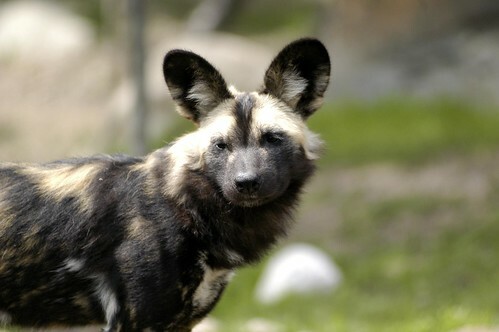 African painted dogs are endangered due to habitat loss, human hunting and disease. They require large areas of land to find prey and are thus vulnerable to the loss of habitat to farming as well as the fencing off of land. 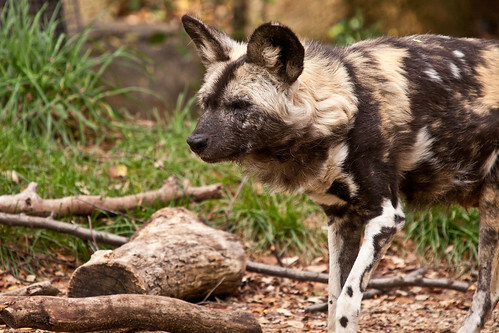 Lincoln Park Zoo participates in the African Painted Dog Species Survival Plan®, a shared management effort by institutions throughout the Association of Zoos and Aquariums. 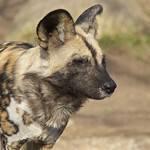 African painted dogs prefer savannas, but they can also occupy deserts and mountain areas. 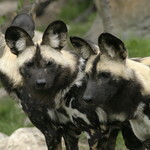 African painted dogs live and hunt in packs ranging from 2-30 members; a typical pack has seven-eight adults. These packs move widely over their range seeking prey. By cooperating in the hunt, these predators are able to capture much larger animals, including gazelles, impalas and even zebras. The cooperation of the pack extends to sharing food with sick or injured adults. 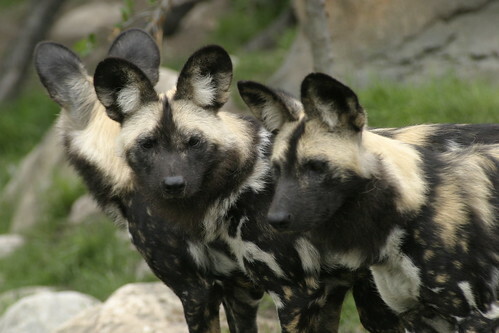 African painted dog packs display a strict hierarchy, with both a dominant male and dominant female emerging. These two individuals are typically the only members of the pack to breed. Females compete fiercely for this privilege. Parenting duties are shared by the pack, with each individual contributing to protect the young and share food with them. 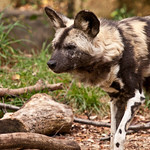 African painted dogs display a variety of behaviors to reinforce their social bond. A notable one is the mid-day greeting, where pack members gather to vocalize and thrust their muzzles in one another's faces.